With over 40 years in the industry, GlideRite Hardware has the best deals on backplates for cabinet knobs, pulls, and handles. We guarantee our backplates to be sturdy, reliable and highly effective. Each cabinet backplate is available in multiple different finishes compatible with any knob or pull. 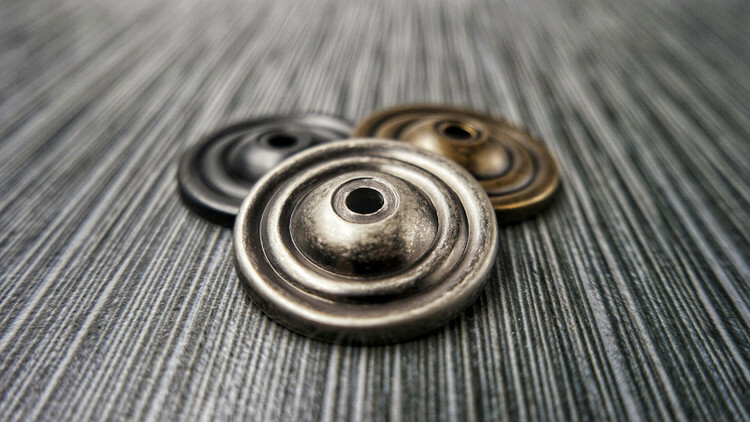 Choose from antique brass, matte black, oil rubbed bronze, satin nickel, pewter and weathered nickel drawer knob backplates.